Looking for a good read today? Check out this piece right here by Richard Griffin of the Toronto Star, who takes a look back at the Blue Jays’ crazy Tuesday night victory and ahead to today’s doubleheader. A number of major junior players have signed NHL contracts over the past month or so. I’ve always wondered just how thrilled their junior coaches are to have this stuff going on at this time of the season. The next head coach of the WHL’s Everett Silvertips? How about Mark Holick? Holick, who spent this season in Italy, and Everett GM Garry Davidson go back to their days in the BCHL. In fact, they won a silver medal together with the BCHL team at the 2002 Viking Cup in Camrose, Alta. Holick, of course, has ample WHL experience, having been the head coach with the Kootenay Ice and Prince George Cougars. G Zach Sawchenko has already played four seasons in the WHL, so what’s left for him to prove with the Moose Jaw Warriors? I would suggest that he is showing maturity beyond his years with his decision to start the next chapter in his life by attending the U of Alberta and starting work on a business degree. If a professional contract shows up four years down the road, he’ll still be there. Unlike the rest of us, the WHL is much younger than it used to be. You can bet its teams will be hoping that no other 20-year-olds choose to follow Sawchenko’s example and leave with a year of eligibility remaining. As you will note in The MacBeth Report, former WHLer Tim Bozon is leaving North America to play next season in Switzerland. It could be that Bozon, a third-round selection by the Montreal Canadiens in the 2012 draft, never was the same after surviving a near-fatal run-in with Neisseria meningitis three years ago. You will recall that the WHL set up a trust fund and solicited donations from its fans on behalf of the Bozon family, but never did let those same fans know just how much money was raised. ESPN lopped somewhere around 100 folks from its payroll on Wednesday and some of them, like Jayson Stark and Ed Werder, were the best in the business at what they were doing. Of course, ESPN also dumped most of its NHL writers despite the fact the playoffs are in full swing. . . . In Vancouver, the Sun and Province newspapers don’t have a football writer between them, and they actually had a freelancer write the sports lead for Sunday’s Vancouver Sun Run, an event that drew around 40,000 runners. . . . My point? Don’t think for a minute that there is any rhyme or reason to the chopping when the axe starts falling. For a good read on exactly what ESPN’s cuts mean to the NHL and hockey in the U.S., check out this piece right here from Bruce Arthur of the Toronto Star. Do you think anyone is enjoying these NHL playoffs more than Nashville Predators D P.K. Subban? Road teams are now 25-19 in the NHL this postseason. Home team win pct in the playoffs (currently .432) has declined each year since 2013. 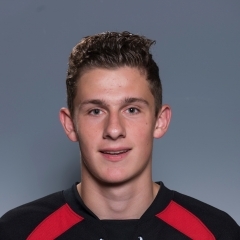 F Tim Bozon (Kamloops, Kootenay, 2011-15) has signed a one-year contract with Kloten (Switzerland, NL A). This season, with the Springfield Thunderbirds (AHL), he had eight goals and seven assists in 43 games. He also had three goals and three assists in 14 games with the Manchester Monarchs (ECHL). . . .
F Dylan Stanley (Tri-City, 2000-05) has signed a one-year extension with Feldkirch (Austria, Alps HL). This season, in 40 games, he had 19 goals and 38 assists. He led the league in assists and points. As you will know from Tuesday’s news, G Zach Sawchenko has decided to leave the Moose Jaw Warriors, rather than return for his 20-year-old season, and start working towards a business degree at the U of Alberta in Edmonton, where he will play for the Golden Bears. . . . Greg Ballock of ingoalmag.com spoke with Sawchenko and that conversation, which explains a lot, is right here. . . . It is quite apparent that attending the 2016 NHL draft in Buffalo and not being selected, despite being one of the WHL’s top goaltenders, weighed heavily on Sawchenko and influenced this decision. D Devante Stephens of the Kelowna Rockets has signed a three-year entry-level contract with the Buffalo Sabres, who selected him in the fifth round of the NHL’s 2015 draft. Stephens, 19, is from Surrey, B.C. He has played three seasons with the Rockets, totalling 57 points, including 19 goals, in 203 regular-season games. This season, he put up career highs in goals (13), assists (22) and points, all in 67 games. . . . Interestingly, the Sabres were able to sign Stephens despite not having a general manager in place; Tim Murray was fired last week. The OHL’s Mississauga Steelheads are the first CHL team to advance to a league final. They got there last night by beating the Peterborough Petes, 7-0, to sweep the Eastern Conference final. . . . In the other series, Kris Knoblauch’s Erie Otters posted a 4-3 victory over the host Owen Sound Attack, who are coached by Ryan McGill. That series is tied, 2-2, with Game 5 in Erie on Friday. . . . In the QMJHL, the host Chicoutimi Sagueneens beat the Saint John Sea Dogs 4-3 to tie that series, 2-2. They’ll play Game 5 on Friday in Saint John. . . . In the other series, the Blainville-Boisbriand Armada posted a 4-2 victory over the visiting Charlottetown Islanders to take a 3-1 lead. That series will resume on Saturday in Charlottetown. Joey Burke is the new general manager of the OHL’s Niagara IceDogs. Burke has been with the IceDogs since their inaugural season, when he was the goaltending scout. He was named assistant GM in 2010 and remained in that position until prior to this season, when he was named director of player personnel. . . . Burke’s brother, Billy Jr., is an assistant coach with the IceDogs, who are owned by their parents, Denise and Bill Burke. Kent, Wash. . . . The teams will return to Kelowna for Game 6 on Sunday. . . . Last night, the Thunderbirds, who lost for the first time in six road games in these playoffs, thought they had taken an early 1-0 lead, but the goal was disallowed, officials ruling that a Seattle player in the Kelowna crease had kicked the puck into the net. . . . Shortly after that, at 3:09, F Ryan Gropp (3) gave the visitors a 1-0 lead, on a PP. . . . 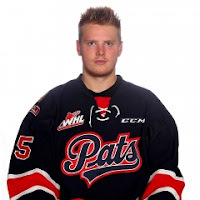 The Rockets tied it when F Nolan Foote scored his first WHL playoff goal, on a PP, at 8:34, then took the lead just 28 seconds later as F Kole Lind scored his sixth goal. . . . F Nick Merkley (5) gave the Rockets a 3-1 lead at 2:40 of the second period, and F Tomas Soustal (4) made it 4-1 at 4:29 of the third. . . . F Scott Eansor (4) got Seattle to within two goals at 10:54. . . . The Rockets got two assists from F Dillon Dube and one each from Foote, Lind, Soustal and Merkley. . . . G Michael Herringer stopped 27 shots to earn the victory. . . . Seattle G Carl Stankowski kicked out 31 shots in another stellar performance. . . . The Rockets held a 15-2 edge in shots in the second period, but only scored once. . . . Seattle was 1-3 on the PP; Kelowna was 1-5. . . . In the four games, Kelowna is 6-25 on the PP, with the Thunderbirds 4-11. . . . Kelowna F Reid Gardiner, who leads all playoff skaters in goals (15) and points (27), was held pointless for a second straight game. . . . The Thunderbirds were forced to scratch D Ethan Bear, who blocked a shot, perhaps with a hand, late in Game 3 on Tuesday and wasn’t able to go. . . . D Austin Strand got more playing time as he got what would have been Bear’s PP time. . . . Announced attendance: 5,063.
scheduled for Regina on Friday night. . . . They’ll return to Lethbridge for Game 6 on Sunday. . . . Last night, Regina took a 1-0 lead as F Braydon Buziak scored his first WHL playoff goal at 9:53 of the first period. . . . Lethbridge tied it at 2:21 of the second period as F Dylan Cozens scored his third goal. . . . Regina went back out front at 9:00 on F Jeff de Wit’s third goal. . . . F Ryan Vandervlis (6) pulled Lethbridge even again, at 9:34. . . . The Pats took control with two late second-period goals, Brooks (5) scoring at 18:06 and F Dawson Leedahl (10) counting at 19:16. . . . Hobbs (4), on a PP, at 7:53, and F Wyatt Sloboshan (3), into an empty net, at 17:04, added goals for the Pats. . . . F Sam Steel had two assists for the Pats, with Sloboshan getting one. . . . Regina got 24 stops from G Tyler Brown, while Stuart Skinner turned aside 28 shots for Lethbridge. . . . The Pats, who had the regular-season’s top PP unit, were 0-9 in the series. They went 1-4 in this one. . . . Lethbridge was 0-2 on the PP. . . . The Pats scratched F Austin Wagner, who left in the second period of Tuesday’s game, apparently after having absorbed a slash. His absence means Regina now is without three regulars, as F Jake Leschyshyn and D Dawson Davidson have long-term injuries. . . . With Wagner out, de Wit slid into the spot alongside Brooks and F Filip Ahl. . . . F Matt Alfaro again was missing from Lethbridge’s lineup. . . . Announced attendance: 5,203.